We at the Crafty Jackalope want to inspire the customer through experience. We look forward to providing you and your guest with a unique experience through the combination of food and drink in a comfortable environment. Our menu is comprised of creative plates, turning traditional American fare on its head, with the ambiance of a relaxed neighborhood bar & grille for all ages. The Crafty Jackalope features one of Pittsburgh’s premiere from scratch kitchens. With 20 draft selections and more than 50 bottled beers, we aim to please. 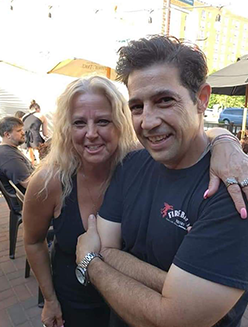 The Crafty Jackalope offers local, seasonal American foods; the eclectic menu specializes in the cuisine of the Mid Atlantic region and is enhanced by the addition of the ability to build your own gourmet burgers & made to order mac & cheese. Our open kitchen is designed to combine the comfort of a home cooked meal with the elegance of a special occasion. Choose a casual meal at the bar or a more refined experience in the dining room. We believe the success we feel at The Crafty Jackalope is fueled by the success of the artisans that brew and their attention to quality and taste. We are all demanding choice in our coffees, our water, even our vodka. It is refreshing to see that now we have many, many choices in craft beer and enjoy providing a wide variety which is fresh in both taste and selection to our valued customers. These choices are displayed at The Crafty Jackalope in our many (over 50!) different bottles and 20 continuously rotating American craft beer taps. Just one look through The Crafty Jackalope’s “Beer Library” is more than enough to see that this is definitely the place for beer. 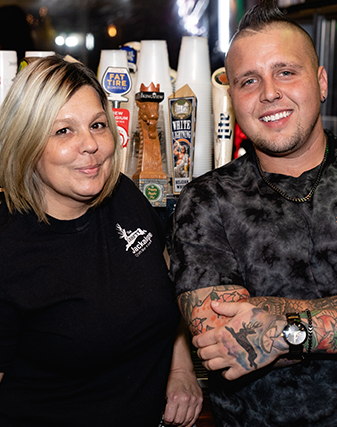 The Crafty Jackalope focuses on their beer selection as much as their food selection and makes sure that there’s a beer for every taste on tap and in stock all the time. 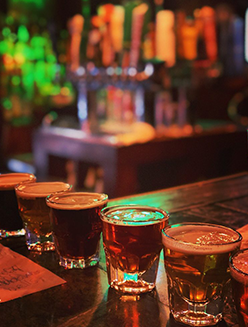 You’ll find higher ABV offerings from breweries like Dogfish Head and Troeg’s, as well as session IPAs, porters, and even some fruity and cider offerings from a variety of breweries both inside PA and around the country. Bridgeville’s business district is full of places to shop and dine, making it easy to spend a whole day exploring. 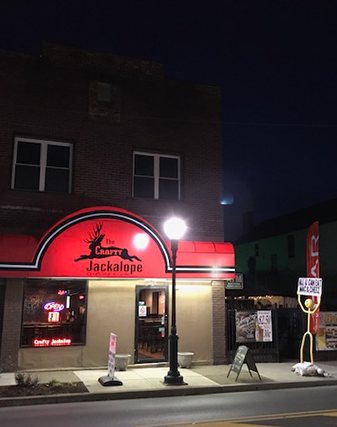 When happy hour hits, The crafty Jackalope is the perfect place to settle in. 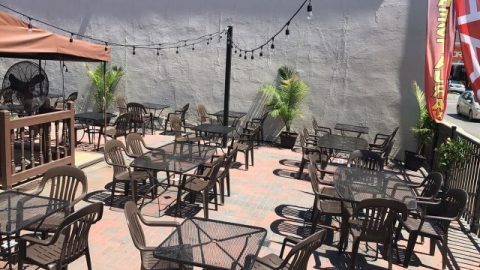 Our cozy spot offers ‘happy hour’ from 5-7 pm on weekdays and Sundays from 8pm-midnight for half off appetizers, $2 off shared plates and $1 off all brews, cocktail, and wine! You’ll also find fresh, homemade from scratch daily food specials throughout the week. This warm space has lots of seating and several TVs, and don’t forget our ever-popular SIN (Service Industry Night) happy hour on Sundays is now featuring Karaoke!